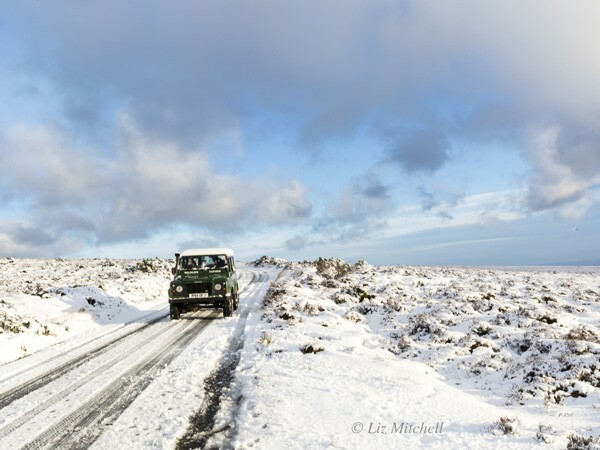 The vehicle owned and operated by Exmoor Wildlife Safaris is a Land Rover Defender 110 with station wagon bodywork and powered by a 300 Tdi turbo diesel 2.5 litre engine. Peaking at around 1800 rpm the engine’s high torque gives unsurpassed pulling power. The remarkable versatility and power of the Defender’s gearing means that almost no conditions should ever be too tough to drive over. The vehicle’s high and low transfer box gives a choice of 10 forward and 2 reverse gears so the performance can be adapted to whatever variety of terrain is encountered. By engaging the centre differential, extra traction is achieved because power is the distributed equally between the front and rear axles. 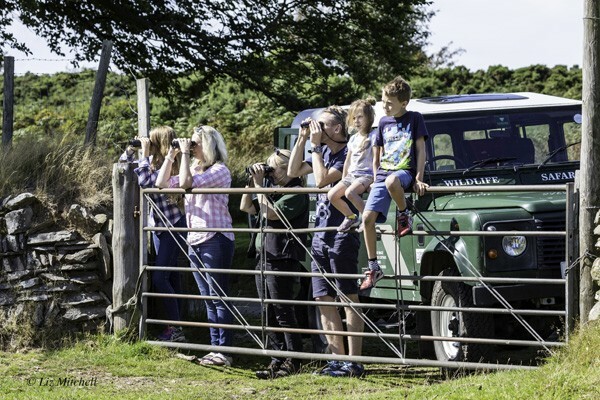 The suspension on the Land Rover Defender 110 model consists of front and rear live beam axles, single rate coil springs and telescopic hydraulic dampers.The ride is smooth on metalled roads and not uncomfortable off road providing sensible speeds are maintained. Apart from minor modifications to the seating, convenience lighting and signage to comply with Public Service Vehicle regulations our Land Rover remains as built and any temptation to add spurious ‘bolt on’ accessories and poser gadgets has been resisted. 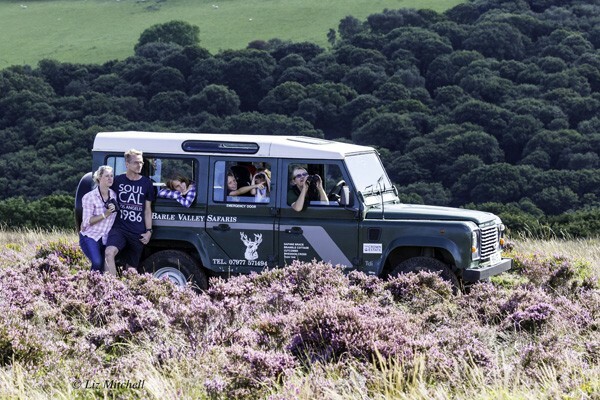 The Landrover undertakes about 400 three hour Exmoor safaris a year and three tours a day is usual during peak holiday periods. 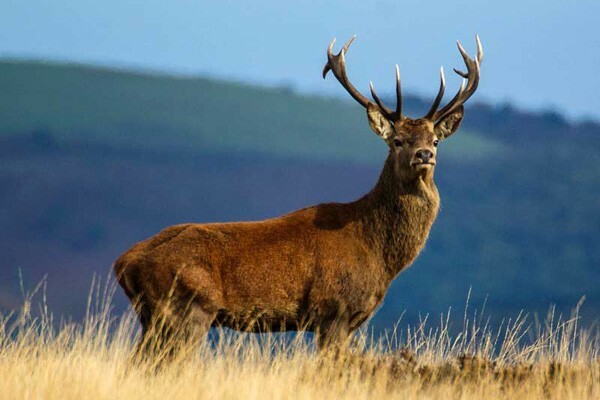 About one third of the time each safari is on Off Road tracks with the kind permission of various Exmoor landowners. The track driving conditions vary with 1 in 3 slopes of bare rock, boulder or loose scree being quite common. Most routes include a river crossing. Many of the tracks are ancient roadways with some hard base beneath a soil layer and they tend to be flooded during the winter and after heavy rain. The tyres fitted at present are ‘General Grabber AT2’ which provide good all round performance for our purposes.